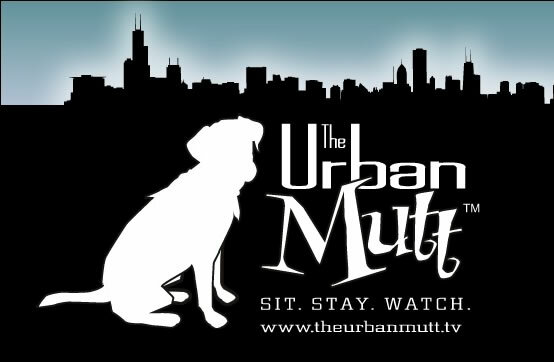 Welcome to The Urban Mutt Blog! so I can post them in the Fan Photo Gallery. So go ahead, have fun, and blog your paws off! Posted by Cynthia on Monday, March 8th, 2010 at 6:45 pm. Posted by Cynthia on Monday, March 8th, 2010 at 6:38 pm. Posted by Chad on Thursday, January 21st, 2010 at 6:16 pm. This guest post is brought especially to you by Dog Fence DIY’s staff veterinarian Dr. Susan Wright. Dr. Susan Wright is a huge advocate of dog’s getting proper nutrition and exercise. Dog Fence DIY will help you choose the right system for your doggie, help you install it, and also help train your pet to use their new system. Dog Fence DIY carries the Innotek SD 2100 system at the best available price. As dog owners, we are responsible for taking care of our pets. This means controlling internal and external parasites, protecting him from infectious diseases with vaccination, and taking him to the vet when he’s ill. However, many people don’t recognize the importance of good nutrition in keeping our dogs in the best possible health. The food your dog eats is the fuel that powers his body, and the nutrients in his diet allow him to function at his best. There is an ideal amount of each nutrient that your dog should eat per day, and deficiencies can be harmful. For example, too little calcium in a growing dog can lead to the bone disease known as rickets. On the other hand, he can also have too much of a good thing, with excess calcium intake in a pup being implicated in orthopedic conditions such as osteochondrosis dissecans. It’s important that you feed a nutritionally balanced food, to avoid such excesses and deficiencies. Posted by Chad on Saturday, December 5th, 2009 at 7:14 pm. We just wanted to write a quick word or two about our new retail store located at 3212 S. Grove Ave in Berwyn! We have all kinds of goodies for your four-legged family members, from treats to toys to accessories. Our regular business hours are Monday – Friday from 10am to 7pm, Saturday from 10am to 5pm, and closed on Sunday…however this weekend and next weekend we’ll have special hours posted (check back for details). So don’t be shy, grab your pooch and pay us a visit! Mention you’re a fan of The Urban Mutt and get a free gift with purchase!! Posted by Cynthia on Sunday, November 1st, 2009 at 3:47 pm. Do your bananas start to ripen faster than you can eat them? Well here’s an easy and healthy solution to making salvaging them instead of throwing them away.